Progression of silent coronary heart disease should be terminated by improving the blood flow in the coronary arteries with new Thermobalancing Therapy, states Fine Treatment. This effective natural therapy, which cannot harm, would strengthen cardiac muscle slowly but steadily. New Thermobalancing Therapy improves the blood flow deeply in the heart at the capillary level that strengthens cardiac muscle, so users of the device are terminating the progression of cardiovascular disease in silent mode. Fine Treatment recommends new Thermobalancing Therapy for cardiovascular disease as for the recovery after a heart attack, as well as, when the heart disease is in “silent mode”, for prevention a heart attack development. Plaque deposits that cause blockages in the coronary arteries, the first blood vessels that branch off from the Aorta, can lead to cardiovascular disease and a sudden heart attack. Sometimes plaque builds up in coronary artery without any warning signs and frequently these signs are so mild that people do not take any attention on them. Sadly, many people miss the preliminary signs and symptoms of heart disease and so often their first ‘symptom’ is sudden death. This research highlights the necessity of taking care of the heart as soon as mild symptoms appear. Angina is a pain that comes from the heart and is the most recognisable symptom of a heart problem. It is usually caused by narrowing of the coronary arteries. When angina starts people seek an advice from doctors. However, there are common symptoms of heart disease, other than angina, that include shortness of breath, palpitations, irregular or quickened heartbeat, weakness, dizziness, nausea and sweating. Indeed these symptoms are very important to deal with. Oxford Innovation has created a case study video that highlights treatment of coronary heart disease with Dr. Allen’s Device for Heart Treatment: http://www.youtube.com/watch?v=zwI84Hfo7GA. You can see how easy is to use Dr Allen's Device for Heart Treatment and read more at http://www.finetreatment.co.uk/coronaryheartdisease/hearttreatment.html. 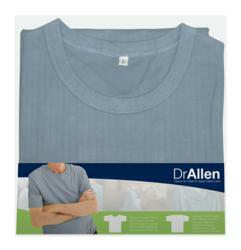 Dr. Simon Allen is a highly experienced medical professional. His specialty is in the internal medicine and cardio-vascular field, and he has treated patients after a heart attack with coronary heart disease, with kidneys problems, including kidney stones disease, prostate enlargement and spine conditions. Fine Treatment exclusively offers Dr Allen’s devices for chronic prostatitis (CPPS) and BPH treatment, coronary heart disease, for dissolving kidney stones, and for back pain and Sciatica relief.